Making your reservations for Saturday night? Look no further these restaurants are celebrating Earth Day by taking on climate change one bite at a time with Zero Foodprint. *These restaurants are already carbon neutral every day. ZeroFoodprint uses a science-based assessment to measure a restaurant's carbon emissions, help them reduce their impact, and offer high-quality offsets for any remaining emissions. Wishing for a way to do your part on Earth Day? We're in this together. You focus on great food and serving your guests, and we'll make sure each meal reverses climate change. We know that running a restaurant is a worry-filled job. Will your new hire pull a no-call-no-show? Where's the delivery that should have been here yesterday? There's little time to think about big-picture questions like, How do I become a leader in reversing climate change? That's where ZeroFoodprint comes in, we find easy ways for conscientious chefs and restaurateurs to make a difference. 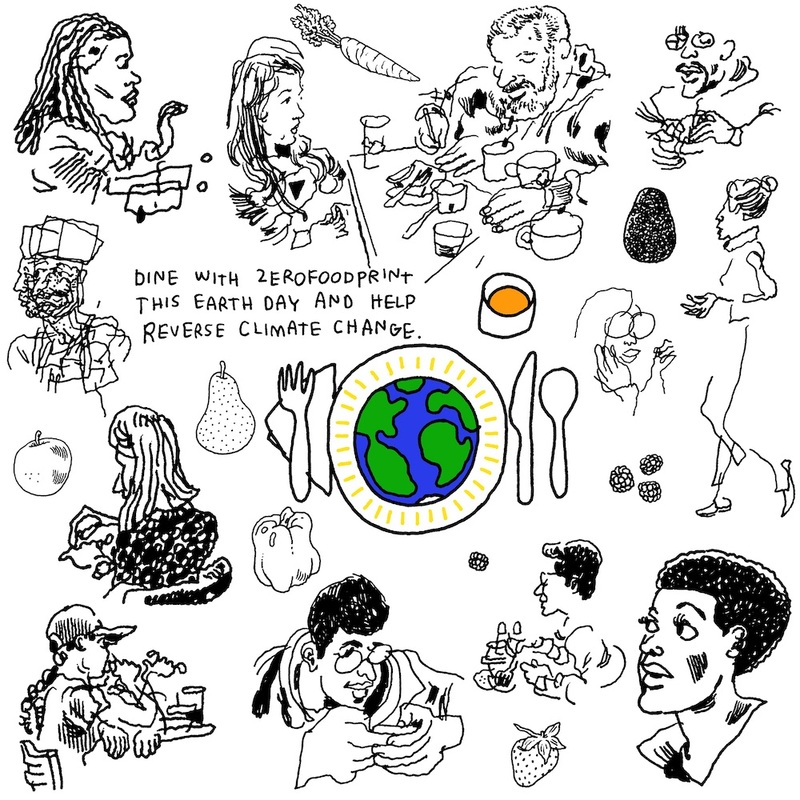 ZeroFoodprint has helped hundreds of restaurants around the world understand the impacts of the food we serve on our climate. Together, we improve these effects by funding projects that encourage regenerative agriculture, which produces more delicious ingredients and sequesters carbon in the soil. Last year, 175 restaurants joined ZeroFoodprint in going carbon neutral for Earth Day. This year we need 300 to reach our goal of 750 tonnes of carbon. That's the same as saving 80,000 gallons of gasoline. To participate, we're asking you to pledge $1 to ZeroFoodprint for each diner you serve on Saturday, April 20th, Earth Day weekend. Your donation will offset your restaurant’s carbon emissions for those days and support our ongoing efforts.